Safety is important. But load securing costs time – time that your employees could better use for further journeys. Time that costs you money as an entrepreneur. 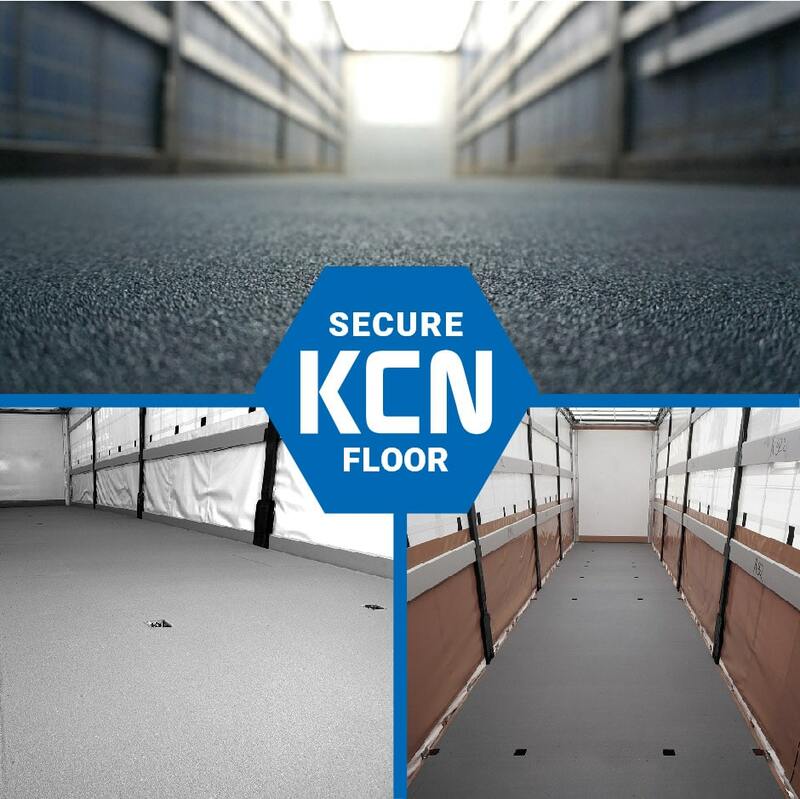 A simple way to make your fleet safer and more efficient, and already appreciated by industry leaders, are KCN Anti-Slip Floors. Loading with load closure at right angles to the direction of travel can be partly omitted. Time saving! Anti-slip mats are no longer necessary on the floor – thus reducing the risk of accidents for your employees. Safety and time savings! Load safety through belts can largely be omitted. Time saving! I save up to 10 min. when loading! !